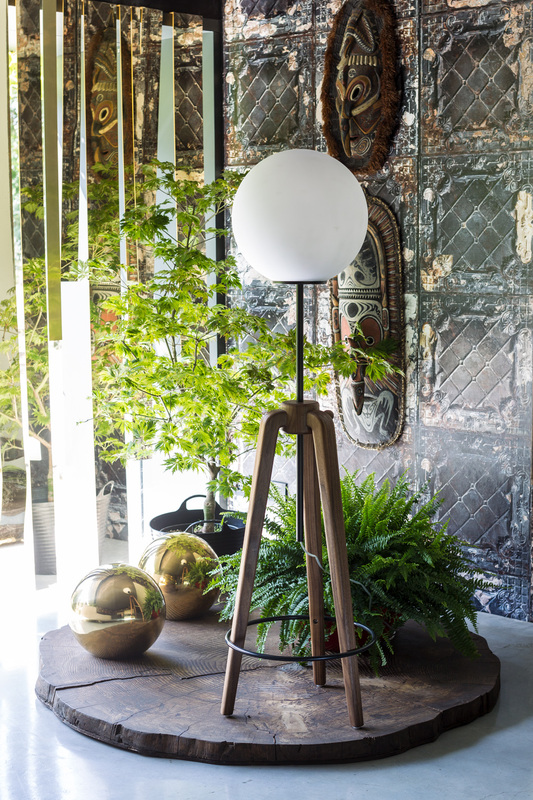 A floor lamp born out of our fancy for Asian paper lanterns, warm and simple yet exquisitely crafted from solid wood. 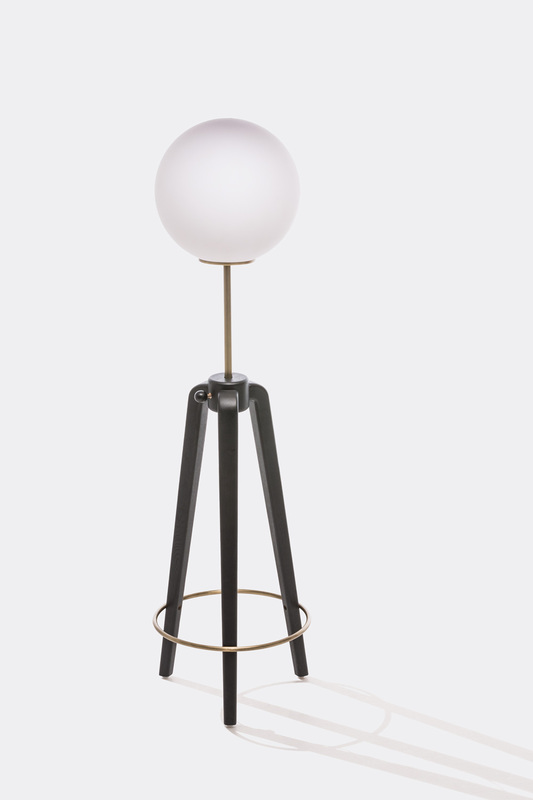 We long mused over how to make these traditional lights relevant in a contemporary space, and finally settled on a bronze or chrome finished metal ring circling slender wooden legs for stability and lightness. The adjustable light height adds versatility to the composition, while the delicate paper bulb infuses the nostalgic flair that we always carry back from our trips to the Orient.